This is the third part in our series about phone systems for doctors offices. Click here to read Part I, Part II, and Part IV. In this post I’m going to identify ways that patients can easily find your phone number. By listing different DIDs (phone numbers) based on what content page the patient is clicking, your website can be coordinated with your phone system selection. A DID or Direct Inward Dial is a dedicated telephone number that allows your surgeons and doctors to receive calls directly via their phone extension. How Are You Growing Your Private Practice? 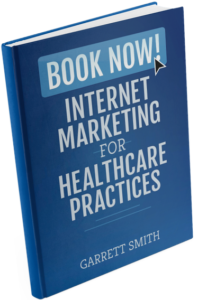 Starting and growing your own private healthcare practice is daunting. Using the word “solo” in “solo practice” isn’t just a way to describe the size of your business. It depicts the headaches and rewards that come with striking out on your own with no support system. Suddenly you need to become an expert in bookkeeping, HR, tax law, but maybe you luck out and find that you have a knack for marketing and networking. This is the second part in our series about phone systems for doctors offices. Click here to read Part I, Part III, and Part IV. There are great resources online when it comes to selecting and buying a new phone system. Any phone system provider out there worth their salt will provide a guaranteed level of quality and uptime and it’s important that these considerations aren’t brushed aside or taken for granted. Make sure you take careful consideration to the Quality of Service (QoS) that is offered when picking a provider. When your employees send out a message using your practice email domain, they’re putting your reputation on the line. It’s not uncommon for employees to get in trouble for misusing company email accounts. One survey found that 28% employers had fired an employee for breaking the company email policy. Confusing personal emails with business emails is one thing but when an employee sends a message that crosses the line with your patients, that not only reflects poorly on your practice (at best) but it could even lead to litigation. This is the first part in our series about phone systems for doctors offices. Click here to read Part II about how to choose the right phone system for your doctors office. For further information, click here for Part III and Part IV of this series. Sick, tired, anxious, frustrated, new or existing, and busy. Answering the phone at a doctor’s requires a lot of patience and multitasking. Handling the calls professionally while orienting the urgency of the situation to the doctor’s schedule is critical to the practices’ success. Adhering to a precise and consistent process that is engineered for efficient growth starts and ends with your patients satisfaction. You already know that patients are going online to search for health information and find a healthcare providers in their area, but what online websites are they seeing when they do? While there are over 350 different websites that have profile pages for healthcare clinics and individual providers, the following 10 online website profiles are the most prominent and important for any orthopedic surgeon who is serious about their patient acquisition and reputation management. It’s not surprising to hear that some doctors get angry about patients leaving negative reviews online. A great online reputation and practice success can seemingly hinge on a few ill words posted on Yelp. Doctors may ask themselves, since when did a review site become an expert on how to run a private practice? They’d be right but there are reasons why even negative reviews can be helpful. Here’s how to deal with them.